She's been with us from the beginning. From our ups to our downs and even times when we've had circles all around. Mum's truly are the best. With Mother's Day just around the corner this month it gives us a chance to go all out to show her just how much we love her so here are some great events and activities to consider to do in London that will be sure to get her beaming with a smile. It's Mother's Day. It should be a day where your Mum should be relieved of her chores for you so instead of getting her to fry you up a breakfast first thing in the morning, get her out of the house and take her to Market Hall in Fulham to witness the Fulham's food halls that serves some of the best brunches. Especially for Mother's Day, they're also serving up a free Pink Spritz to go with a meal bought for your Mum (or a non-alcoholic drink if she prefers). Continuing with the Garden theme, how about a wander out in London to Farringdon where you can do a botanical garden tour. You can explore all the greens that it has to offer and learn about the spaces and how they came alive. What's really special about the tour, in particular, is that on Mother's Day your Mum can come for free! Does your Mum find herself to be a bit of an artist? No problem. If you head down to Liberte Concept in Bethnal Green, she can whip out her paintbrush and endure a painting workshop to fulfil her dream of becoming Picasso. During the workshop, you'll be guided by a professional painter who will provide tips on technique and how to construct the perfect image on a canvas. The ticket includes provided painting materials and cakes with tea for a little supper during the workshop. If it's simply afternoon tea you're looking for, then it's no problem. God's Own Junkyard in Upper Walthamstow provides a unique and bright setting to a traditional afternoon tea. The design is filled with various neon signs and flashing lights that are sure to brighten up her day. Even if she has plans on the Mother's Day, God's Own Junkyard is also hosting the event on a Friday and Saturday which means she can make it into a weekend rather than just a day. 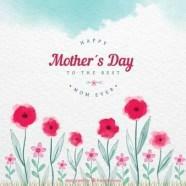 Here is just a host of activities that you can do for your Mother on this special day. With so much variety, you can have plenty to choose from in one of the greatest cities in the world. Some people may even choose to have a holiday to make the most of what's on offer, so if you do remember to have your passport and UK visa available for a special trip that's sure to give her a great experience especially for her.